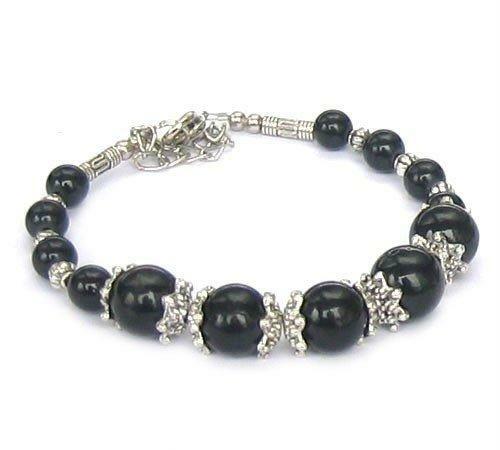 A beautiful Black Onyx Tibetan Silver Bracelet. The bracelet has a single row of Black Onyx Beads with a lobster claw clasp for closure. The bracelet size is 7cm in diameter.